"ZenIQ does the work of an army of marketers! " You can literally set it and forget it, yet remain fully in control. It can handle anything from a simple ABM play to a highly complex, automated campaign from targeting through execution to measurement. It takes some time to understand all of the functionality within the tool and even longer to be truly self-sufficient within it. And you need to know your own data well. ZenIQ has added so many valuable capabilities over the past 6 months that I can only imagine how much more powerful it will be in another 6 months. Demand Generation: I'm orchestrating multiple campaigns and audiences based on very complex set of criteria allowing me to support a large ADR team. Ops & Data Compilation: Leveraging data across multiple systems including Salesforce, Eloqua, Infer, Bombora, etc. To filter and prioritize accounts based on data across all of my data sources would be virtually impossible without ZenIQ.
" A necessary addition to any ABM strategy"
Most tech companies these days over-promise what their products are capable of doing today. After having a bad experience with Everstring, we weren't sure there was a predictive ABM platform that could meet our needs, then came 6sense. Being able to see the holistic digital footprint of our named accounts and then being able to react to that information - by running highly targeted digital advertising. We also have additional workstreams in place to react to that information through other marketing channels. In addition to driving results and filling a much needed gap in our tech-stack, the team at 6sense truly cares about their customers by constantly soliciting feedback and then working to make improvements. It takes a little longer than we would like to create a new ad campaign, but I am confident that those little process improvements will occur over time. The power of the platform far outways the extra effort. With 6sense, we can finally align our digital campaigns with actual account behavior and engagement. For a growing tech company, this intel has not only allowed us to compete with big brands and be far more strategic in our marketing spend. In just 3 months, we were able to see a 60% uplift in engagement. .
"Great experience with team and product: 6Sense"
Depth of knowledge in the Predictive Analytics field, as applied to Demand Gen programs. Outstanding customer service and support; project planning and implementation services. Practical and innovative ways to deliver key insights on accounts and contacts and their engagements with owned and un-owned media sources. Ability to prioritize & segment leads, and compare to existing lead-scoring programs. 6Sense staff were always working to understand our business and support testing and use-cases in a variety of ways. Leadership that is committed to the long term success of a partnership. We were not able to fully integrate the platform into our Martech stack, which delivered limited results. Gain buy-in from Sales and Marketing leadership; give ample time for testing to yield results. Define use-cases early and communicate clearly on goals and measurements. We wnated to pivot to Account Based Marketing programs, and the 6Sense insights gave us a named-set of accounts to prioritize for demand-gen programs. We are driving MQL's, Mktg Gen Pipeline and Opp Creation metrics. Insights at the account were important for us to focus our investments; the overall analysis work delivered confirmation on Ideal Custom Profile inputs. A recent merger resulted in loss of use of the platform, but we look forward to potentially activating again with 6Sense. "ZenIQ combines all your favorite MOPS tools into 1 UI"
We are just scratching the surface of this platform through its ability to help us analyze account penetration and synthesize our existing subscriptions to multiple data vendors to go after more target personas as said target accounts. There is so much more we can expand on in terms of our use of this system, from pulling in intent signals to building "smart plays" -- essentially building automated marketing campaigns that integrate with various marketing automation tools. Tons of value to be had here. Given how much this platform is capable of, the main sort-of pitfall is that there will be a bit of a learning curve toward getting full utilization out of it. We're still working through it, but even if you use 20% of the tool I would still say you're getting good value. I would recommend brining your subscriptions to other data vendors into this platform. ZenIQ can streamline use of other platforms for you, but if you buy data directly through other vendors first it can be cheaper. Initially our goal is to consolidate multiple data vendors into one platform to streamline the build out of our target account list. ZenIQ will manage de-duplication and adding of records into our CRM and makes the process very efficient by scraping all our data vendors for unique contacts simultaneously. "Simplify your ABM Planning with ZenIQ"
The engagement charts for each account provide a central location to easily track the status of each account and identify the next best steps for our team. The Engagement and Reach timeline of the Account journey with details of which campaigns they are interacting with and when we are having meaningful conversations. Product is still new and there are a few bugs here and there, but the development team is extremely responsive. We've only been using ZenIQ for a short time, but we're already seeing the improvements in our ABM processes and programs. We've also been incredibly impressed with ZenIQ's responsive in fixing bugs and implementing featuring requests. ZenIQ is the perfect solution for those looking to jumpstart their ABM programs by creating alignment between marketing and sales. We highly recommend both the product and the team! The main problem we've been trying to solve is ensuring our sales and marketing teams are aligned on the status and next actions for key accounts. We've been using ZenIQ's account engagement charts as part of our ABM planning sessions, and these have been tremendously effective in helping us measure the true engagement level of the account - these charts show us which roles typically engage most often, and which specific actions tend to create the most engagement. This provides insights that are hard to come by otherwise, and generally saves us time in gathering all the key activities with their respective impact for a given account. "ZenIQ ABM Orchestration & Data Enrichment"
ZenIQ is super easy to use and very powerful in it's ability to manage accounts and connect the dots between salesforce and marketo. I especially like how it can create accounts and identify contacts in seconds. Further, their data on technology use coupled with firmographic data is so helpful and provides a great competitive edge. Excellent customer success team that makes all the difference. On the onset, some things need tweaking to ensure it's working properly, but their customer success team really negates this. Account based marketing that includes (1) lead to account matching (2) automated account creation (3) automated person contacts. Further, it's instrumental in target account identification. "6sense - B2B lead predictor necessity"
6sense goes beyond being just a predictive technology, to instead, a complete buyer intelligence platform, allowing for prioritization and personalization of every marketing and sales touch throughout the journey. They’re already working on making everything more self-serve, which has been my only piece of feedback to date. Don’t avoid 6sense just because you think you have dirty data! Through a robust data mastering and data pipeline, 6sense also has the ability to deal with dirty data being collected, processed, mastered, and scored from multiple systems on a daily basis. It’s such a perk that we didn’t even realize! We’ve struggled to align sales and marketing to focus our efforts on the same companies and with 6sense, we’re all in agreement of which accounts are ready to be prospected and it truly makes the entire organization more efficient and successful. "Account Based Orchestration with ZenIQ"
ZenIQ is the only vendor to seamlessly manage disparate data from both internal and external sources and applies machine learning to generate account level intelligence; its automated Orchestration SmartPlays are a huge timesaver for any ops person in marketing or sales - so much so that it pays for itself. "Leading the Industry in predictive and ABM"
They are great to work with, they care of about all customers large and small. Go above and beyond to make you successful. The integration with Salesforce of indicators was a game changer for our sales org. The analytics in the ABM platform gives you great depth of the insights to your targeted accounts. Not much to say here. Being a customer for 4 years I have seen the product develope in great strides of improvement and it just keeps getting better. Account prioritization for ort AE's to focus on buyers in market. focusing on accounts that show interest have a better sales cycle all around. We are also able to target our top accounts with retargeting and personalization on what matters to them. "Increase your Account IQ with ZenIQ"
for a marketing person, this is one of the easiest tools I've used to obtain net new contacts in specified accounts. I can easily see what leads/contacts are associated with a set of accounts in my own CRM and what names I can acquire with a click of a button. The other recommendation that ZenIQ gives you are "like" accounts that you are targeting in case you are missing a target that you should be considering. I've been a user of Engagio as well. Engagio allows you to really understand engagement of leads/contacts per account per account owner. You can really drill down on a day to day on what accounts to be targeted by the sales team. it's easy for sales and marketing. ZenIQ is getting there. I think the capability is there. Challenges that I'm solving include, account engagement with leads AND contacts all in one place. Benefits...running a custom nurture for a product with account specific targets. Augmenting lists and enriching our database with the right information. "Target Account Penetration with ZenIQ"
I really like how flexible it is to target our buyers. We can get very narrow on our ideal customer profile. It's also very easy to use. If they can add an "undo" feature. Our market is also very niche, where we need to ensure that the company needs a scheduling platform or has workers they need to schedule a job. So it takes time to go through the list to ensure that after the great firmo and technographic filters that we don't waste time on someone we would never sell to. However, this is an issue I have seen with every vendor, since you can't collect data on that. For a SMB trying to create and penetrate customer base, ZenIQ makes the marketers job far easier. We are not yet using their more sophisticated orchestration plays, but plan to in the next few moths. The sales team has seen great value as well from pipeline creation. "ABM Orchestration - The ZenIQ mantra"
"ZenIQ Account Based Marketing Orchestration"
Out of the entire platform I gain the most value from the Intelligent SmartPlays and SmartFilter. Overall the platform functions very well, however the intuitiveness of the UI could use a little more work. The platform is very flexible and will almost allow you to do anything you want marketing operations wise. There are out of box SmartPlays, as well as many more available in their PlayBase community to model on. You will not be left alone. Finally their support is fantastic and they will always go the extra mile to make you successful. The feature that lists several names from companies that may have searched online for your company's product or service recently. Supposedly, I'm not quite sure how it works. The data accuracy and transparency could always be better. Not sure where names and emails come from and what type of activity they conducted. I haven't had much success in converting leads from 6sense Recommended Actions but then again, there are only a few listed for each account. Also, the Buying Stage and Profile Fit don't do much for me in the Enterprise world where everyone is a "Strong" fit. It's hard to say how accurate the data is, especially since you're not told where it comes from. Prospecting, Prioritizing Accounts, Prospect Software Landscape. It helps to tell if there's been a recent purchase of a software product category at a company. "Work accounts you had no idea were interested"
The best part about 6sense so far is that it's basically a bonus to the account research I already do. By giving me insight into companies that are looking at our company's website/whitepapers/etc., I'm able to start working accounts that I wouldn't have otherwise looked into and they're most likely interested already. The one dislike I have so far is that 6Sense is also showing me accounts that are "looking at our website/information", when in reality they are just clicking our marketing emails to change their preferences and stop receiving all communication from us. This will take time away from me when I click into the account to see what they were looking at on our website and find out they weren't doing that at all. 6sense will give your sales team a much needed bonus in their outbounding efforts. If your reps are struggling to find new accounts or need a quick win, 6Sense provided them with the correct accounts that will most likely be interested already. I've been able to start outreaching accounts at the time they are interested. Allowing for a quick turnaround time from first outreach to first conversation over the phone. This benefit has helped me find quick wins and attain quota much faster. "Your compass, your guide, your sherpa all in one! " Incredibly intuitive and easy to use! UI was easily navigable on any device. 6sense is a simple solution that is able to generate a ton of high-quality leads that would otherwise be overlooked. This is a very helpful tool for any marketer or prospector looking to increase pipeline. The product met all our needs, fantastic experience! 6Sense won't solve your pipeline problems if you don't have enough data or leads. Don't think of them as a a replacement for reps or marketers. Think of them as an enhancement to everything you're doing. Lead Gen! 6sense offers an increased conversion rate and a higher likelihood to convert. Being in IoT business, our target market and buyers are slightly different and sophisticated; yet ZenIQ's sophisticated machine learning engine is able to surface them up for our marketing programs. We are also starting to manage our account data better with ZenIQ and deploying their Account Scoring framework. There is no other product which does so many things for marketers at such scale. "Powerful tool for implementing account based marketing & sales plays"
Learning curve; ZenIQ is a feature rich platform that takes time to ramp up on. Review ZenIQ capabilities against the key elements of your current and planned GTM strategy; ZenIQ can support both account and lead based strategies. Identifying untapped prospects & opportunities across marketing, ISR and field teams. We have generated additional sales meetings & created additional pipeline by implementing ZenIQ driven plays. "A must have ABM platform"
Helps establish an accountable, data-driven ABM approach. Efficiently delivers an optimized, clean ABM marketing automation / CRM instance, build out your ABM database, and deliver full funnel account-based reporting and analytics in one system. Because of the nature of ABM and depending on your ABM maturity, there is some planning and preparation that goes in to optimizing your CRM for ABM and structuring the optimal ABM reporting metrics. ZenIQ helps with all of this and the team is very knowledgeable and helpful but do realize there is some time commitment on your part to get things setup correctly. Garbage in, garbage out. Don't start executive ABM programs before you have the ABM database management and reporting analytics plan figured out. Definitely include them in your ABM RFPs. Our organization was trying to take our ABM program to the next level and we were evaluating a lot of different funnel attribution and marketing reporting tools. Our sales and marketing teams have been building out and touching target accounts for a few years. We had an excel-based ABM list that we drove target account programs off of and directed sales efforts but it was not going to scale and we did not have a way to repeatably report on and measure our progress. We needed a much better way to manage and maintain that target account list that was truly synced with our marketing and salesforce.com systems and allowed us to drive ABM channels / programs and analytics. ZenIQ pulls together all these processes and activities and makes it easy for us to gain visibility and report on our progress. Today, we can build out our buying center at our target accounts, enrich and manage account data, orchestrate targeted campaigns across channels (including SDRs and sales), and, most importantly, we can really understand and share our account-based marketing progress easily. "Account Based Orchestration - a go-to platform for us marketers"
"Great Team & Growing Fast"
We were trying to launch ABM nurture plan and ZenIQ helped us achieved faster lead sourcing, smarter targeting and intelligent account insights and alerts. "Clean data and Marketing Orchestration with ZenIQ"
If you see ABM as more than the next silo of data and activity, you need to check out ZenIQ.io. These guys really get the marketing ops and multi-channel reality of todays' B2B environment. We are solving for data hygiene across our databases for accounts, leads and contacts. ZenIQ has enabled L2X orchestration with owner intimation, account scoring, the ability to manage multiple target lists and implementation of ABM performance reporting. "B2B leader that you must partner with"
The robust ABM solution, for predicting in-market buyers, as well as finding look-alikes, and executing across media with the 6sense display tool, and sending insights to sales. A huge benefit and milestone for Cisco. Nothing. The team is small but acts really quick and gives the best to the customers. The predictions are accurate and easy to use. Helping to generate leads and find good prospects to reach out to their key decision makers. "a lot of leads but are they any good?" As a business development rep it was nice to have a ton of leads in your que but why are they there? I would have preferred to understand how they pull these leads in and what are they doing that makes a potential customer in a buying cycle. Some of the leads that came in had little to no information about the customer. How did this happen? If the system can't pull basic information how can you expect it to tell if a company is in a buying cycle. None. During my time working with 6sense I didn't have any more success with their leads than I did with others. "Cisco Systems success with 6Sense success "
The integrity and honest of the 6Sense staff, the quality of the product, and most importantly, the extraordinary results achieved. It's a small startup, I expect it to grow to larger size. Being small now, they try harder. This is industry leading technology providing competitive advantage. "Outside Account Executive Review of 6Sense"
I like the idea of what 6Sense is aiming to do, however it does this so poorly from my perspective that other than the idea I find 6sense is a waste of time. "6Sense Success at Cisco "
The customer focus of the 6sense team allowed us to take full advantage of the product's capabilities. 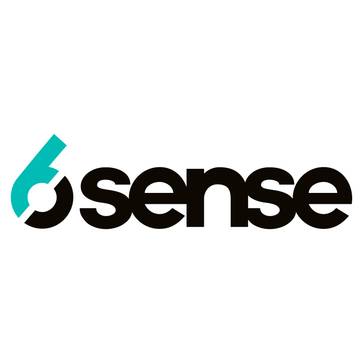 6sense is still a small company, which could be a concern. The June 2017 Forrester report on predictive analytics, however, ranks 6sense as the industry leader. The technology behind 6sense delivered accurate information pinpointing when an account would have a booking. "ZenIQ is Amazing! Data cleansing, Automation, Intent Data, notifications, Web analytics, etc!" Data cleansing, Automation, Intent Data, notifications, Web analytics, technographic data, firmographic data, data appending, etc! speed, if there was one thing I would say it is speed of platform could be better. definitely use ZenIQ it is awesome you will not regret the purchase. "Huge advantage if you partner with 6Sense"
The customer empathy that the 6Sense team shows towards their client is amazing. Nothing in particular as a dislike. The team works harder and gives their best. "6sense is a huge prospecting help!" I love that when I am prospecting, I can pull up a 6sense list that has already been generated for me. This gives me all the basic information I need to start my prospecting, saving me a ton of time in the researching stage. I have been able to qualify and source many leads for my sales team using this tool- and this has led to pipeline creation for us. I wish there was more information in the leads as to why they may be a good target- changes in leadership, funding, ect. 6sense allows me to easily identify companies in my territory and makes it easier for me to reach out to their key decision makers. "6 sense was a medicore product. " Lead generation abilities. Although the quality of the lead would very greatly it was still beneficial to recieve leads. bad information and lack of actual leads. take the time to understand how to use it from the beginning. Helping to generate leads and find good prospects. "I thought 6sense was pretty awful." The ides makes a lot of sense I just found that most of the leads were fruitless. I was trying to find trigger events in order to find more business. "A decent lead source, but seems to be one step behind." I like that you can get companies that are relevant in your industry and may be in the research process. It seemed like every time I would reach out they have just purchased or in the last steps of a sales cycle. Solving the quantity of lead problem, still needs work on the quality. Realized that you can get an understanding of a customer by knowing that they may be in a cycle. Best! They support us on so many fronts. A necessity for any ABM outbound reach. Best customer success team! Campaign and creative performance updates as well as segment building. Understanding customer needs and how best to support those needs. That it provides names of the C level executives and also provides a pretty long list of companies. I personally work with small businesses and most of the information within this space is not accurate. The company size is almost always wrong, and the vast majority of the companies that I find on this website end up not being existing companies. In the small business space it would be more helpful if the information, specifically company size and revenue was more accurate. It does provide a long list of companies but there is a lot of sifting through that needs to be done with them. 6sense is able to generate high quality leads that would otherwise be overlooked. This is a very helpful tool for any prospector looking to increase their pipeline. Can generate a lead with very few contacts. Unclear why the leads were recommended. Ensure your organization has plenty of internal leads for 6sense to sift through. Lead Gen. 6sense offers an increased conversion rate and higher likelihood to convert. make sure the data is accurate and up to date. Gave a better/predictive level of insight into opportunities for the reps.
A bit of a black box setup from an end-user/rollout perspective. best focus on outbound efforts and SFA. "6Sense is adequate but not excellent"
Automated lead generation. Separating them by verticals automatically is great. Make sure that the 6Sense system and proper integrations are set up correctly and efficiently before going live with the system. There will be kinks that need to be worked out, but if you can ensure that your system routes leads correctly, determines if a lead is good or bad (or missing information), then the system should work as it should. The value is in the automated lead generation and mitigation of prospecting time required. Mitigating the time it takes to prospect. The amount of leads received and the info given about them was crucial in our efforts when we were prospecting different companies. Some of the leads were not in the correct business type or not looking for a software pruchase in the next 6 months. Make sure you audit and clean up the leads before you prospect but overall a great place to start your sales efforts. Able to reach a mass amount of leads and make our efforts much easier to prospect. "It's an all right product"
I like the ability to determine what leads would be the best fit for our sales rep's to contact, so that they don't waste their time contacting useless leads. I don't think this product works as well as it is said to, at least in the way we have it set up. Maybe it's our integration as well, i don't know. We've seen greater ROI on leads that have 6sense insights on them which saves our sales team time when they are contacting inbound leads. 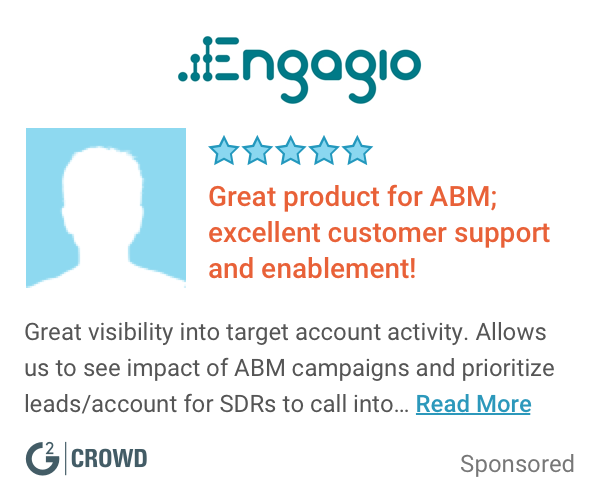 "A must have platform for companies who are serious about ABM or targeting specific accounts." Their ability to integrate with almost any tool and build automated workflows off them. The consistency of quality produced by 6sense. It's dependable and boasts higher accuracy than other predictive intelligence lead sources. It can be tricky to manage lead outreach internally because it's such a unique process. A lot of manual work is required. Lead generation efforts and high-quality prospecting. Quantification allowed for easy-to-process value to leads. The product made it easier to church. None in particular. Any issues seemed to be common with nature of dealing w/large pools of leads. Worked with internal BD team on lead qualification. I get qualified leads that seem to be accurate. I'm not receiving the leads first hand, but get them from our business development program which helps to ensure that these leads are pertinent to me. I've heard that at times these can be inaccurate, but I'm not handling them first hand. I manage the relationship and am focused on aggressively expanding the NetSuite footprint and partner footprint for my portfolio of customers. "6sense - it works! " It works. We've found some "diamond in the rough" leads that we hadn't called yet, and 6sense gave us a foot in the door to reach out, only to find out that timing was perfect. We get some 6sense leads that are already customers of ours. Increased lead flow, helping lead to more qualified opportunities. "I am a rep that receives Sixth Sense leads." not much, getting leads is nice. Most of those lead are not accurate thought. "Only useful for the US"
It finds companies for you. Scores them for you and then suggests to prospect. It is very US-centric and there aren't enough eu based companies. * We monitor all 6sense reviews to prevent fraudulent reviews and keep review quality high. We do not post reviews by company employees or direct competitors. Validated reviews require the user to submit a screenshot of the product containing their user ID, in order to verify a user is an actual user of the product. Hi there! Are you looking to implement a solution like 6sense?